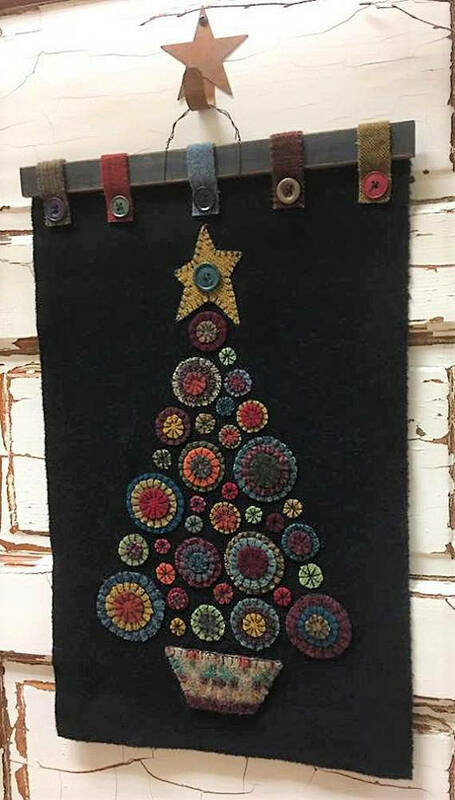 Wool applique pattern "Penny Christmas Tree" by Heartfelt Wool Expressions. WOOL PENNIES !! This is a beautiful project. Can be made up in any colors and background. 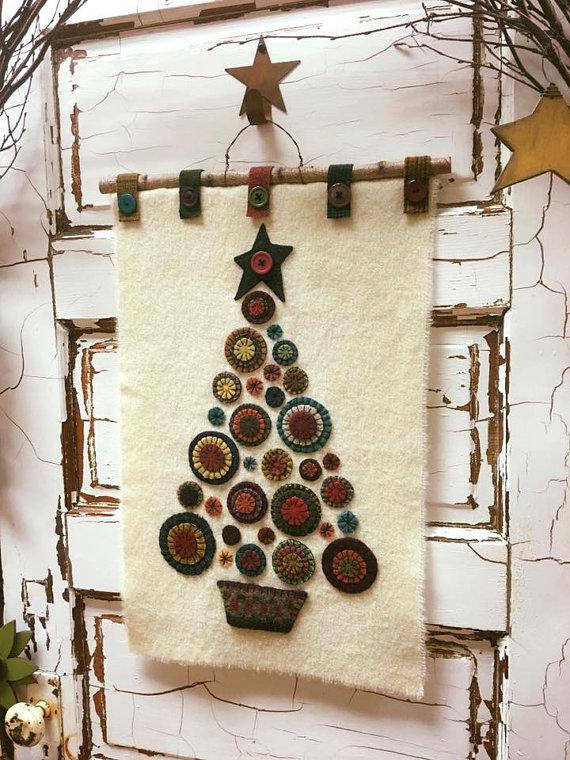 A great way to use up your wool scraps too! The finished mat (without the wire hanger) measures 15" X 23" inches. This Pattern includes full size Template Pages, full size Pattern Cut-outs, material list with sizes and step by step instructions.